Discover the delights of working with bone to carve both traditional and modern pieces. Limited to eight participants. 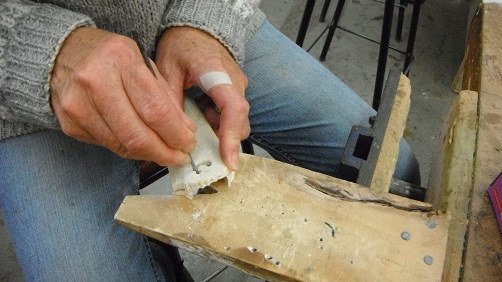 Learn techniques that will enable you to carve bone in both traditional and more modern styles - no previous experience required. Initial materials provided but additional materials may cost up to $40. Please wear clothing and footwear suitable for a workshop environment and bring a dust mask.